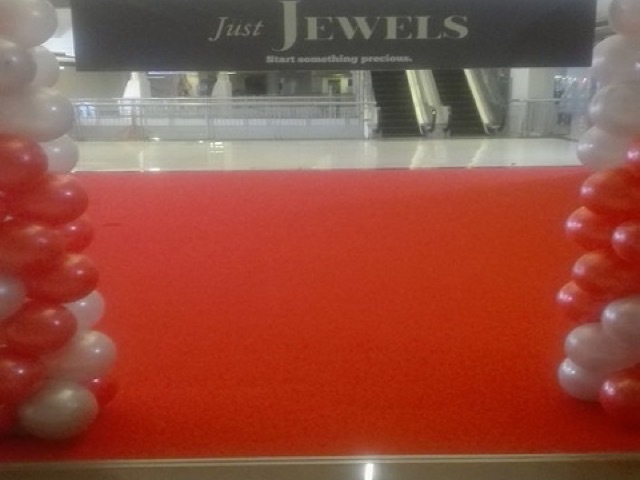 Today we’re featuring a red carpet for a mall exhibit in Festival mall, Alabang, Muntinlupa. 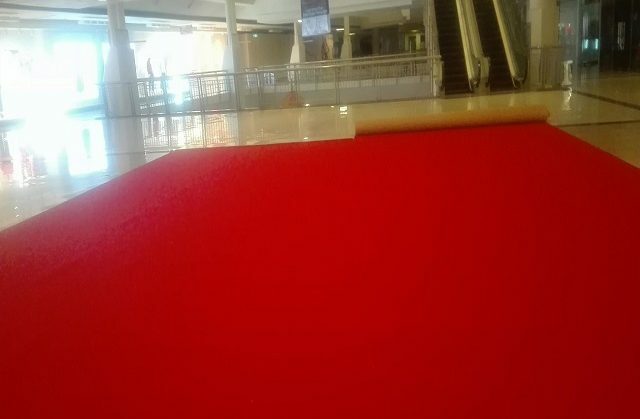 Carpets in malls are typically seen during mall events and exhibits. 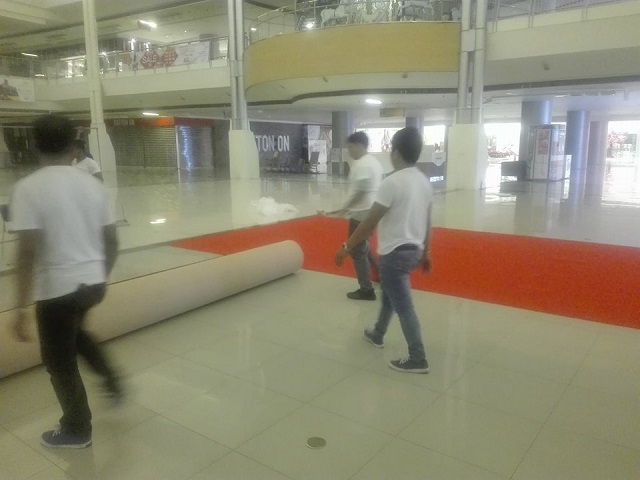 However, you’ll hardly see any carpet installation during mall hours because these things are usually prepared and assembled when there are no customers around i.e. 10pm to early morning hours. All you can see is the beautiful exhibit arrangements and decorations as you enter the mall that were not there previously. These are usually setup in the mezzanine or open area in the malls and typically in the ground floor. Periodically, you’ll see some new shop or store in these areas but usually they are just there temporarily i.e. only for a few days or weeks. Some setup these exhibits or events when the marketing group of a company decides to launch a new line of products or promotions such as when there are new gadgets or phone marketing campaigns. These carpet rolls that you can see being laid out on the floor typically has a 3.66m or 4m width. That means that if the area that needs to be covered by carpet is more than 3.66m or 4m in width or length then joining of two adjacent carpet rolls is necessary. This is typically done by applying heat to a heat bond tape along the joining to fuse the rubbery carpet backing together. Duct tape is then used along the sides to fix the carpet on the floor temporarily. These carpets can then be disassembled after the event by cutting it into manageable sizes and stored for later use or if there are events in the future. The carpet in the photo is Korona 670 Bright Red. 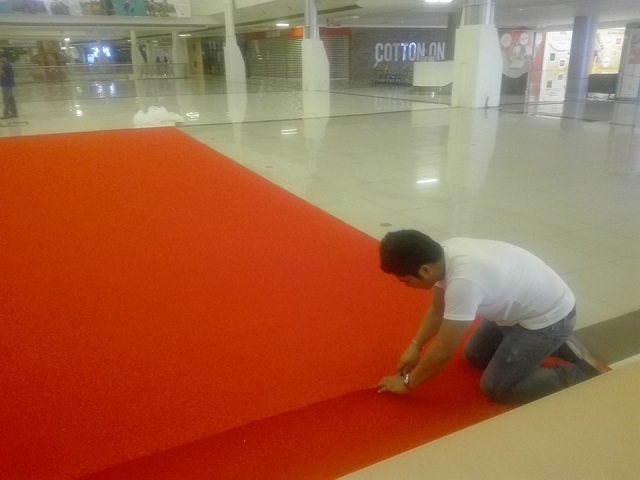 Some companies outsource event preparations to advertisement companies that reuse the carpet for other customers. Some carpets can be reused for a few years before it can be visibly worn out. For more information on carpet for mall exhibits and events, call us at (02) 403-3262, (02) 893-1373, (02) 668-9668 or email us at inquiry@dswindows.com. For Laguna, Cavite, and Batangas area you may also call Patrick Villapando at Globe) 0917-583-0214 or (Sun) 0922-592-6111 or 0908-989-4676.